Spain firmly ranks among the leaders in the global market for low-cost real estate. The market is accessible and prestige and the most common housing in this particularly rural country - houses and villas. One of the most picturesque coastlines in the state – the Costa Blanca, in the Alicante province. The name translates from Spanish as the "White Coast". The name appears due to the white rocks, which protects the resort from the wind, so the region has a warm and comfortable climate. This is one of the leading holiday regions in Spain, which stands the city of Torrevieja. Properties in Torrevieja - very profitable and promising. Torrevieja is the third largest in the province of Alicante. Its population is increasing mainly due to foreigners, actively buying property there. They are attracted to the longest beach season, clean beaches and, of course, the well-developed infrastructure. But these are not all the advantages of the city. The city is not boring even in the winter – there are a lot of cultural events, a theater, a conservatory, museums, shopping malls, discos - pastime for all tastes. The green recreation areas with playgrounds, a mini-zoo and cycle paths are perfectly complement the picture. The city generally has low buildings of 3-5 floors. In its southern part are located many modern housing complexes and detached houses and villas. The city center is not so expensive, but the quality of buildings is not always good. You can buy a modest, but high-quality apartment from the owner at a price of 40 thousand Euros. According to last statistics the Costa Blanca is selling houses and apartments at the most affordable price among the resort regions of the country. 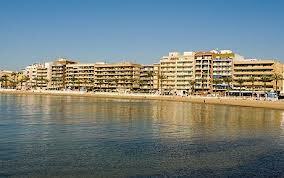 So it is worth checking Torrevieja during your search for the most inexpensive property options. There are even two-bedroom villas with pool on the shore for about 200 thousand Euros! Buying property in Spain by foreign citizens is simple, and the pleasant addition is the multiple-entry Schengen visa, which can be issued by becoming a local owner.